The Ballynahinch River is two and a half miles long and drains a huge catchment of several lakes and smaller rivers. All the fish entering this system must first pass through the Ballynahinch Fishery. In addition to the river, the fishery extends up through Loughs Inagh, Derryclare, and Ballynahinch. Access to the river is excellent, as the road runs parallel to it for almost its entire length. Footbridges and stiles add to the ease of access. Casting is facilitated by some 72 casting piers along the river. There are seven salmon and four sea trout beats. Fly fishing is the method of choice and all tackle, flies and accessories are available for hire through reception or the fishery manager who, together with his ghillies, has an unequalled knowledge of the system and can give tuition. The beats are fished in strict rotation and catch records are readily available. For the less experienced, fly casting tutorials are available for half or full day with our qualified guides, please contact the hotel for more details. A day spent on the Ballynahinch Fishery in the heart of Connemara, ringed by the Twelve Bens mountain range is an experience never forgotten. 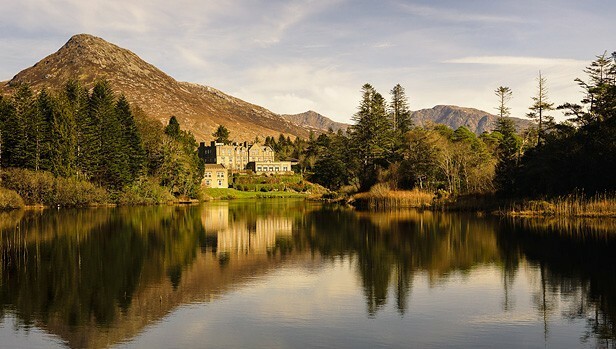 Ballynahinch Castle is a magnificent 4 star deluxe hotel in Connemara surrounded by the Twelve Bens Mountains, rivers & lakes. 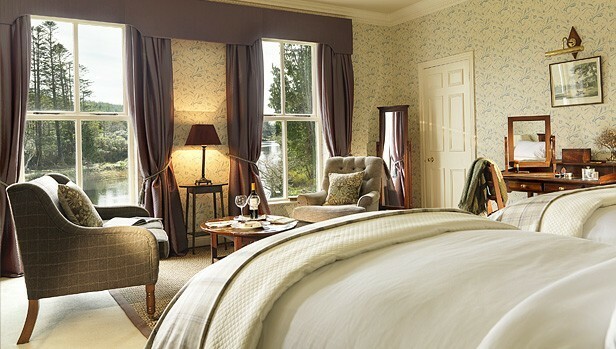 With 48 magnificent bedrooms and suites, each individually furnished, enjoying views of the river, mountains or gardens. 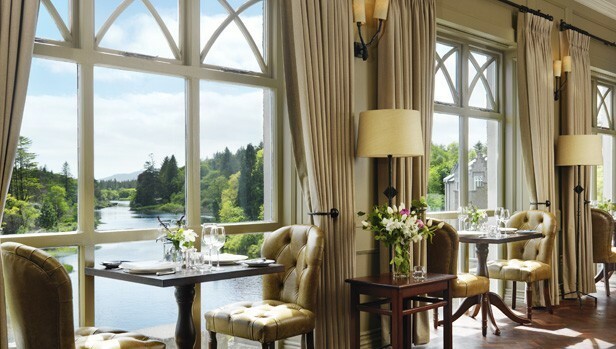 With a strong emphasis on local produce the kitchen prepares the finest of dishes from the breakfast buffet with its baked gammon to dinner in the choice of the elegant Owenmore Restaurant or the cosy Fisherman’s Pub with its open log fires. Located on a 450 acre estate, on site activities include over 10 miles of walking trails, guided walks or hikes with our fully qualified guides. Try your hand at clay shooting with Shane Bisgood who trained with Holland & Holland Shooting School in London. Meet John your skipper in Roundstone and enjoy a half day boat trip visiting Inishlacken island, seeing the grey seals colony and trying your hand at lobster fishing, returning with your catch for dinner. Ballynahinch also has prime woodcock shooting rights to 33,000 acres. 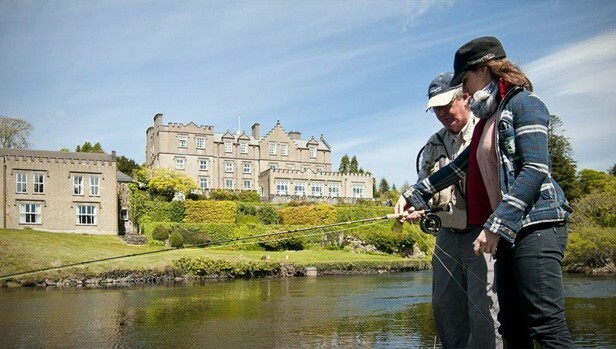 Ballynahinch Castle is open all year round and is regarded as one of the finest salmon fisheries in Ireland. Voted one of the top ten hotels in the UK & Ireland by the readers of Condé Nast Traveler Magazine Oct. 2016.